The Earthquake® 9800K™ powerhead features a Kohler® engine. This engine offers enough power for the toughest drilling jobs. The solid steel, heat-treated alloy gears and the 3 inch centrifugal clutch make an exceptionally durable unit. 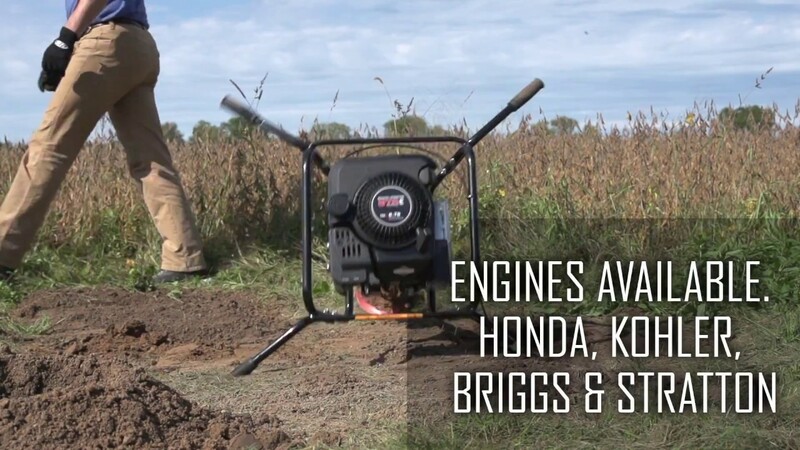 Tackle tough jobs with the strength of Kohler® engine. Ball bearing, alloy gear drive transmission. Wide handle placement for maximum control.